Northwest Wine and Cheese Tour – Save the Date! 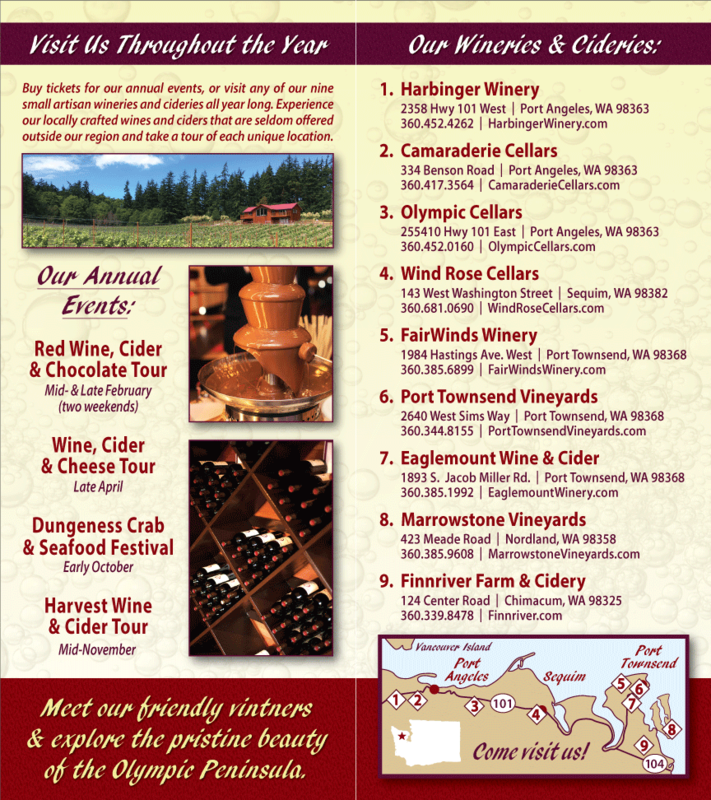 Mark your calendars for the Olympic Peninsula Wineries’ inaugural Northwest Wine and Cheese Tour! On April 18 and 19, each of the seven wineries will host a different northwest specialty creamery and pair handcrafted wines with a delectable selection of artisan cheeses. Participating cheese makers include Wild Harvest Farms located in Chimacum; Port Townsend’s own Mt. Townsend Creamery;Gotherberg Farms from Bow, WA; Fairaview Farm located in Sequim; from Montesano, Estrella Family Creamery; and Beechers Handmade Cheeses located in Seattle. Tickets are $25.00 per person and include a special commemorative wine glass, complimentary wine tasting, and mouth-watering samples of northwest artisan cheeses. Purchase your tickets online at https://www.olympicpeninsulawineries.org/nwwinecheese.php (recommended) or at the door. The wineries will be open from 11 a.m. to 5 p.m. each day.